Millwall’s trip up to Yorkshire ended in misery as they came away pointless and with only 10 players following the dismissal of Jake Cooper in injury time. Jordan Rhodes scored his first goal in donkey’s ages to give the home team three points despite the Lions putting up a spirited performance against the Owls. Still it wasn’t enough to grab a point and it’s obvious that Millwall simply do not travel well. That is now 16 games on their travels without a win. Lots of huff, lots of puff and lots of determination from the Londoners but it was not to be on a night when Tom Elliott had given Millwall hope with his first half equalizer. This defeat puts Millwall down another position in the Championship table and the Lions sit without menace in 16th place whilst Sheffield Wednesday who started the day below Millwall leapfrog both the Lions and Fulham and move up to 14th with this victory. Wednesday were in danger of carrying on their recent spell of poor run without a win in the last three games but they certainly put that statistic to bed with milk and honey as they showed a little more skill and more resolve than their London contestants. To be fair Millwall battled well and gave their all but just came up short in terms of midfield dynamic play allowing the Hillsborough crew time in the middle of the pitch to control the tempo of the game and what an initial tempo it was. Wednesday came out all guns blazing and there were just 3 minutes on the clock when the home team took the bull by the horns with an early opener. Due to the recent poor performances manager Carlos Carvalhal looked to push the boat out with the team to address their slump in fortunes, rotated his squad. He changed half of his outfield players, handing starts to Liam Palmer, Glenn Loovens, Morgan Fox, Jacob Butterfield and Rhodes. Jack Hunt, Joost van Aken, Kieran Lee and Steven Fletcher dropped to the bench, with left-back Daniel Pudil missing out due to a hamstring injury. The new formation looked hungry from the off as Ross Wallace’s central placed pass was superbly controlled by Morgan Fox and his low ball was poked in by Reach. It was the winger’s second goal in the space of four days. Barry Bannan featured prominently early on. He pulled the strings in the centre of midfield and tried his luck from range but Millwall goalkeeper Jordan Archer acrobatically tipped over his rasping left foot shot. A decent effort replicated by a decent save. If Millwall thought they were out of it they just had to remember that Wednesday have only kept two clean sheets the entire season and soon after the Lions equalised when Fred Onyedinma skipped past Loovens and his deflected attempt from the right was turned in from an acute angle by Elliott with just 13 minutes gone. On Halloween this was a defensive horror show for the Yorkshire team. Onyedinma for the visitors utilised in the number 10 position, was causing the hosts’ new look back four plenty of problems with his pace and power. He gave them another scare, cleverly shrugging off the attentions of Loovens before fizzing the ball across the face of goal. The multi talented Jordan Rhodes who despite his obvious qualities doesn’t always shine, headed in Ross Wallace’s corner to restore the lead before half-time for his first goal since last March and the striker also hit the post late on with a header before Millwall’s Jake Cooper was shown a second yellow and therefore a red card to ensure the visitors finished proceedings a man short. “I think Sheffield Wednesday were excellent for 20 minutes, I think we helped them out, and then we got a foothold back in the game. “I thought we were excellent leading up to their second goal. It’s a poor goal to give away, you can’t give a player like Jordan Rhodes time in the box. 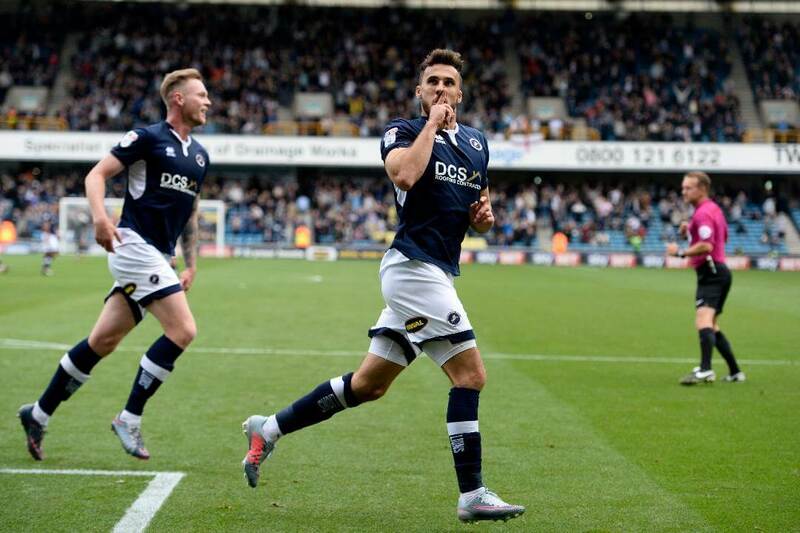 This defeat for Millwall was their third in five games, and although they did apply some pressure in the second half after forward Lee Gregory was brought on, Jake Cooper had a couple of chances but he turned him into a villain with his late sending off.